Created from Louisiana sinker cypress, this cafe table is made from lumber recycled from a beam that once held up a railroad bridge near Morgan City, LA. This unique lumber has become increasingly popular because of the variety of colors and grains. 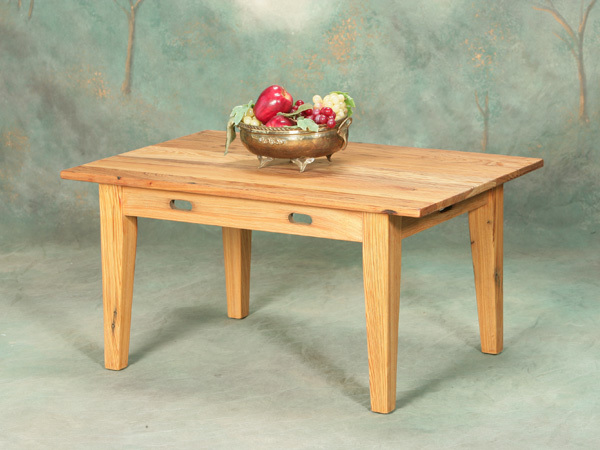 Great for use as a dinette table in a home, or as cafe or restaurant furniture. The leg profile is reminiscent of a style used in Devonshire, England. 40" x 40", custom sizes are available.